Three days of national mourning began in Egypt on Saturday after the deadliest militant attack in the country's modern history. Assailants killed 235 people when they bombed a mosque in North Sinai during Friday prayers. More than 100 others were wounded. No group has claimed responsibility for the carnage at the Al Rawdah mosque in the town of Bir al-Abed. But a branch of the so-called Islamic State group has been waging an insurgency in the mainly desert region. Attackers in vehicles bombed the mosque then fired on worshippers as they fled. 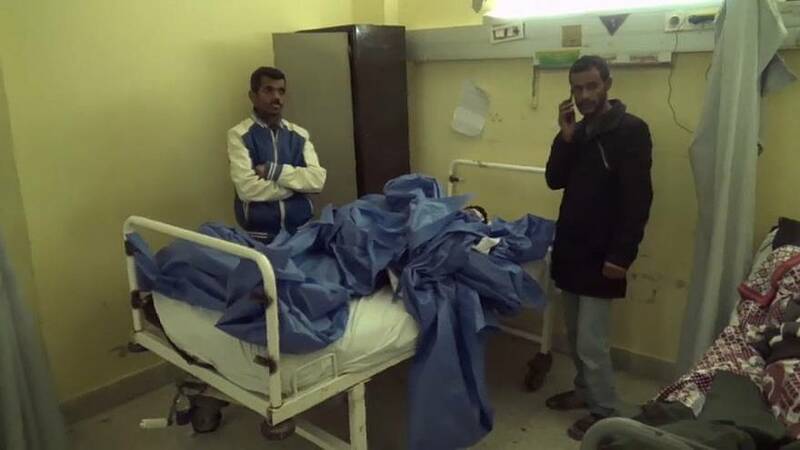 Injured Abdullah Abdel Nasser, 14, spoke from his hospital bed. "We heard gunshots and bombs being thrown, and they hit people, all of them. They were firing on everyone," he said. "Everyone was running, and bumping into each another but I was able to make out masked men wearing military clothing," said fellow wounded survivor Magdy Rezk, adding his voice to reports that the attackers wore uniforms. Local sources said the mosque was frequented by Sufi Muslims, who are regarded as unbelievers by extremist Islamist groups. Other reports said military conscipts also worshipped there. Hours after the attack, Egypt's military launched air strikes on targets in mountainous areas around Bir al-Abed, destroying vehicles and hideouts associated with the attack, the army said. The Sinai branch is one of so-called Islamic State's surviving branches following the collapse of its self-declared caliphate in Syria and Iraq after military defeats by US-backed forces. US President Donald Trump led a chorus of international condemnation of the attack. In a post on Twitter on Friday, he called the assault a "horrible and cowardly terrorist attack".